Community Programs effect cultural change through the power of the arts, resulting in improved social, emotional and health outcomes. As a community arts organisation we embrace the notion that our projects are collaborative and needs-based, and we ensure that they are supported by exceptional professional artists who guide, teach and inspire. We take pride in our hands-on approach and create unique arts projects that are tailored to the needs of participants. Our projects include ongoing weekly programs, short-term projects that range in length from 3 months to 2 years as well as occasional one-off performances and opportunities. Community Programs are delivered at no cost to participants. 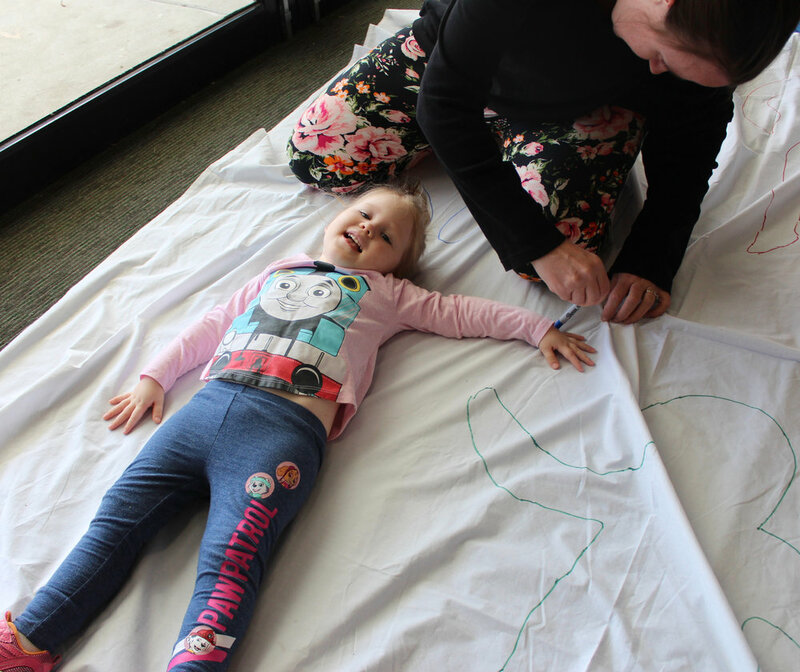 Meet, Move & Make is a weekly arts-based group session designed to support young parents to engage in joyful activities with their 0-5 year olds. The skills and ideas the parents learn during group time enrich their ongoing relationships with their children, turning one morning into a week full of learning opportunities. Based at the Norlane Child and Family Centre and supported by the SPACE (Supporting Parents Access to Childcare and Education) co-ordinator at Northern Bay College, Meet, Move & Makeprovides a learning environment for parent and child that supports child development, family relationships and effective parenting skills. The Folk House pays tribute to the great tradition of community folk dance. Over the course of a year, each season will play host to a unique folk dance event in each corner of the compass around Geelong. Live music by local musicians will accompany each family-friendly, all-abilities dance event, in a joyful celebration of community and cultural diversity. Promoting social interaction, sharing of food and conversation as well as participation in folk dances from a variety of traditions, The Folk House is an event that gets people moving, laughing, singing, and communicating through the joy of dance. TBA@Newcomb Park is a wholistic program that aims to develop strong and creative family connections at Newcomb Park Primary School, while simultaneously supporting mental and physical health and well-being among children, families and the wider community. It uses a multi-pronged approach, firmly grounded in a background of multi-disciplinary research and experience. Supported play environments where 0-5 year olds and their parents/carers learn together and develop important skills through creative activities. First Steps in Music is an early childhood music education program based on the research and work of Dr John Feierabend. First Steps in Nature encourages child-led nature play that embraces the enormous world to be discovered within the school grounds. An extended transition-to-school program for parents/carers and their pre-prep children during the six months prior to school entry. Weekly music and nature parent-child sessions provide a gentle and positive introduction to the school environment, build relationships between parents and school staff and establish a culture of mutual respect and parent engagement. A comprehensive program of daily singing in the Prep-3 classrooms designed to support students to become tuneful, beatful and artful whilst promoting literacy, numeracy and social outcomes, and enhancing the capabilities of classroom teachers to use music as a tool for learning. The completion of the extended transition-to-school program that invites parents/carers into the classroom to learn together with their prep children. Propeller provides support pathways for disadvantaged young people to access creative arts workshops that align with their personal artistic interests and passions. A robust network of partnerships among social welfare agencies, schools and other community organisations ensures appropriate identification, recruitment and support of participants. In 2018, thirty six places in the Workshops at Bluebird House program were provided at no cost to participants. This ensured access to a quality art program within a community setting, a model that embraces true social inclusion. 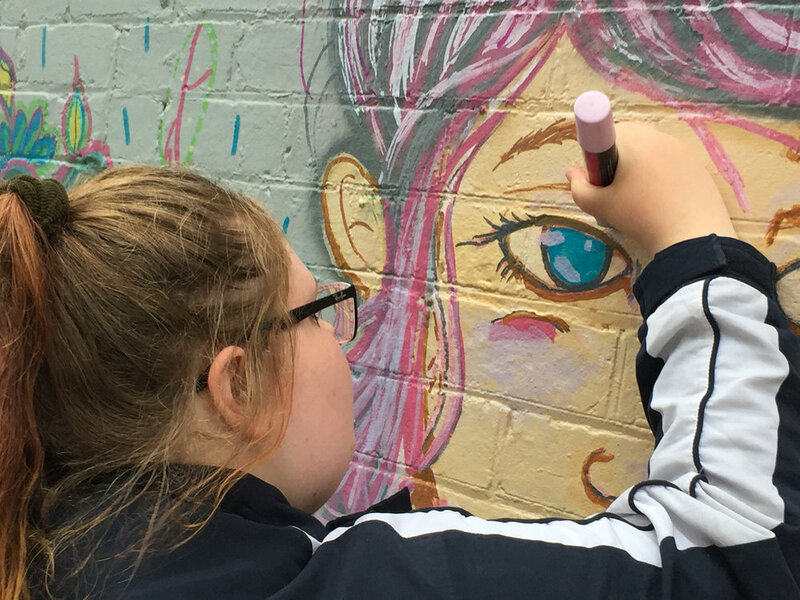 Drawn Together | Geelong brought youth from diverse cultural backgrounds together with local artists, Liz McGrath and Laura Alice. Through weekly art classes and workshops held at The fOrT youth centre and North Geelong Secondary College, the young artists explored a wide range of artistic styles, techniques and art materials. Harnessing the power of augmented reality art, the young people created a collaborative public exhibition to celebrate Harmony Week in 2019. Displayed in the Renew Geelong Concept Space, the exhibition invited the audience to embrace the richness that diversity brings to our local community. TBA North is a wholistic early childhood program at St Thomas Aquinas and St Francis Xavier Primary Schools that employs strategic, innovative arts interventions in an effort to redress poor educational outcomes. The program strives for effective, sustainable results for families, taking a two-generational approach and utilising an immersive mentoring model that targets teachers, caregivers and children simultaneously. PlayLinks is a weekly, facilitated art and music group session for parents/carers and their 0-5 year olds. Based at St Thomas Aquinas and St Francis Xavier Primary Schools, the program provides a learning environment for parent and child that supports child development, family relationships and links play experiences to the school environment. The program is open to families living in the 3214 postcode. A comprehensive program of daily singing in the Prep-4 classrooms designed to support students to become tuneful, beatful and artful whilst promoting literacy, numeracy and social outcomes, and enhancing the capabilities of classroom teachers to use music as a tool for learning. An extended transition-to-school program for parents/carers and their pre-prep children during the six months prior to school entry. Weekly music education parent-child sessions provide a gentle and positive introduction to the school environment, build relationships between parents and school staff and establish a culture of mutual respect and parent engagement. little bluebirds is an online collection of creative ideas for parents to share with their 0-5 year olds at home. Each week a new post is added by one of the Bluebird early childhood educators and includes ideas and resources to support parents to bring music, art, nature and healthy food into their homes.